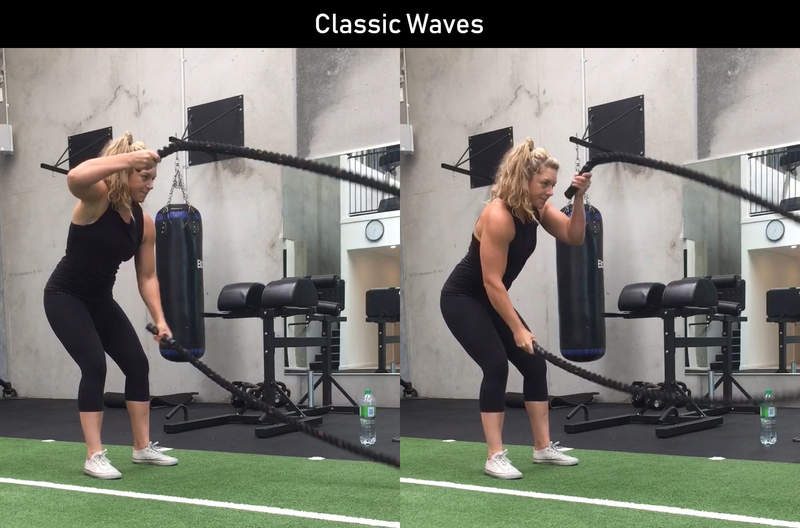 Battle ropes have become very fashionable in fitness, but can they really help you to lose weight? 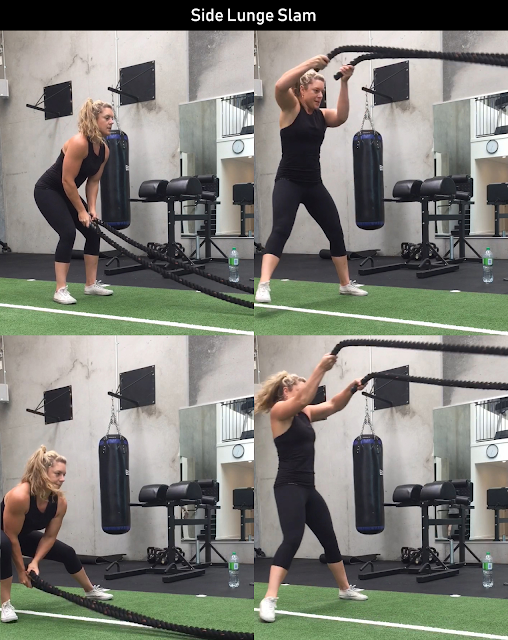 Battle ropes exercises are perfect for you to use if you don’t have a lot of time and love an interesting workout. You’ll love the idea of building muscle, conditioning and cardio at the same time. 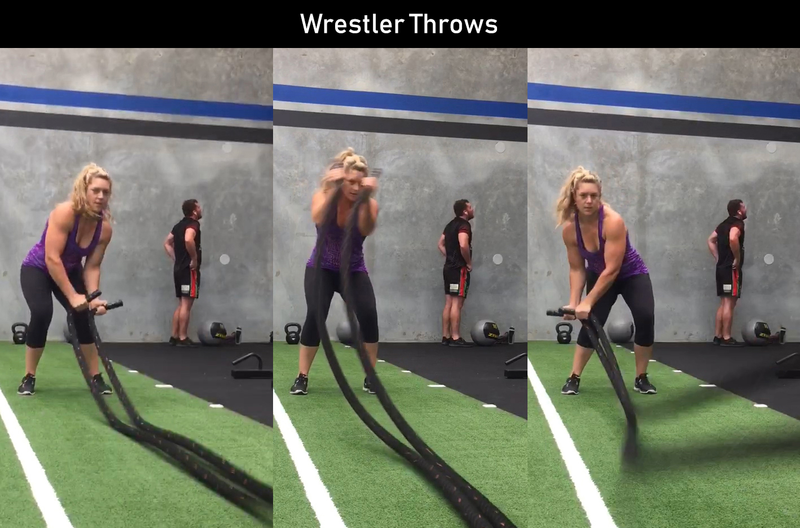 Battle rope exercises are super effective, and they’re easy to learn. This is intense exercise, but anyone can do it. 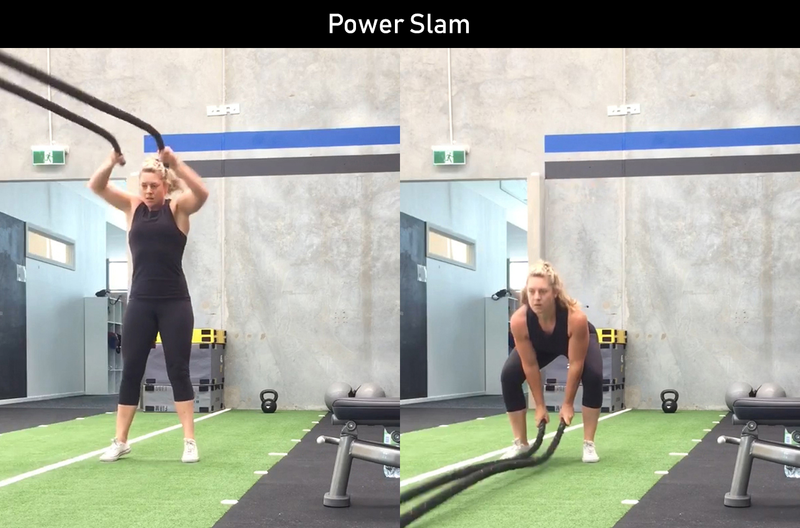 Most battle rope exercises are low impact and suitable for beginners. You can get a great workout at any stage of fitness. There’s a low risk of injury and minimal impact on your joints. 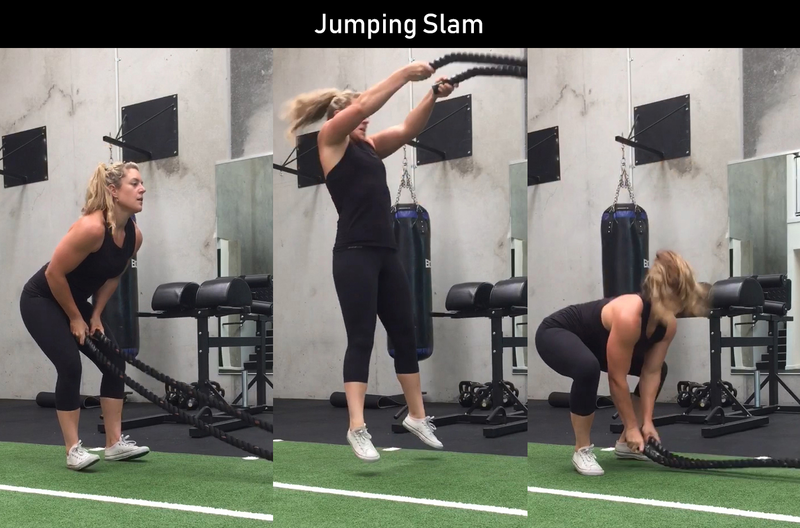 Why are battle rope exercises effective for weight loss? Studies have shown that by performing high-intensity workouts regularly, you could still be burning calories at a higher rate as much as 11% two hours after exercise and even the next day. Battle ropes exercises lend themselves to high-intensity style workouts and they are also great for beginners. This means you’ll burn more calories in a time period than ordinary cardiovascular exercises. Allow some slack in the rope - don’t stand with the rope tight. Aim for as many movements in the time as possible, but keep good form. Count how many you do to track your progress. Experiment with your grip - overhand works (like a handshake), but some exercises will favour underhand (like a microphone). Keep good posture, but try to be relaxed - let your body move and brace your core. Tabata is a type of interval training. You will do 8 intervals consisting of 20 seconds of work. Then pause for a 10-second rest after each one. This will give you around 4 minutes of intense exercise. Take a minute rest and repeat 2-4 times depending on your level of fitness. It is possible to burn as much as 13 calories per minute. These are intense, but fun. You will need to set a timer. 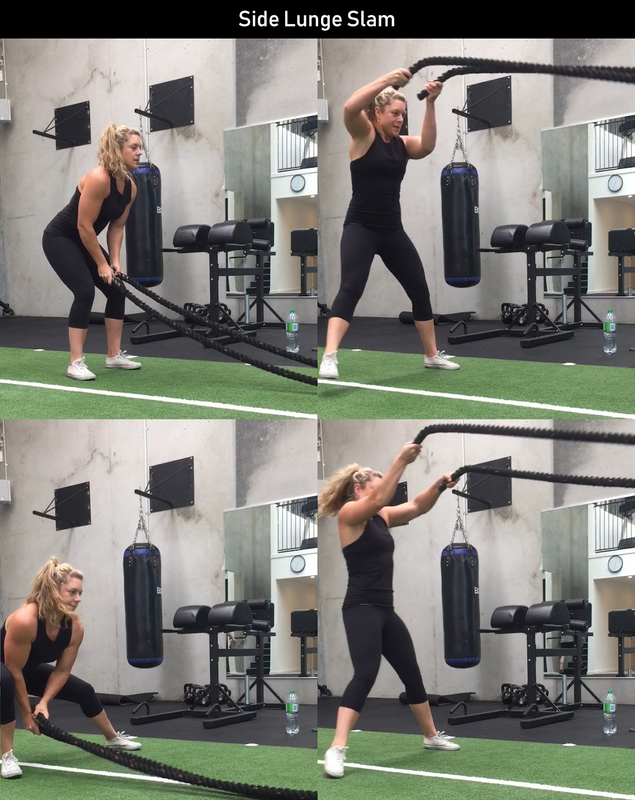 Beginners can alternate between the following two exercises or select from the following battle rope exercises for more variety. Technique notes: Your arms will love these, but don’t use the ropes like a drum set - use the whole arm. Being more dynamic will make the exercise even more effective - using more core. Technique notes: Your legs will feel these too. Aim to make the wave travel as far along towards the anchor point as possible, you’ll be in a squat position at the lowest point of the movement. This is an example of a high-intensity circuit to intensify conditioning and calorie burn. If you’re starting out with battle ropes, you may want to increase your rest time between rounds. 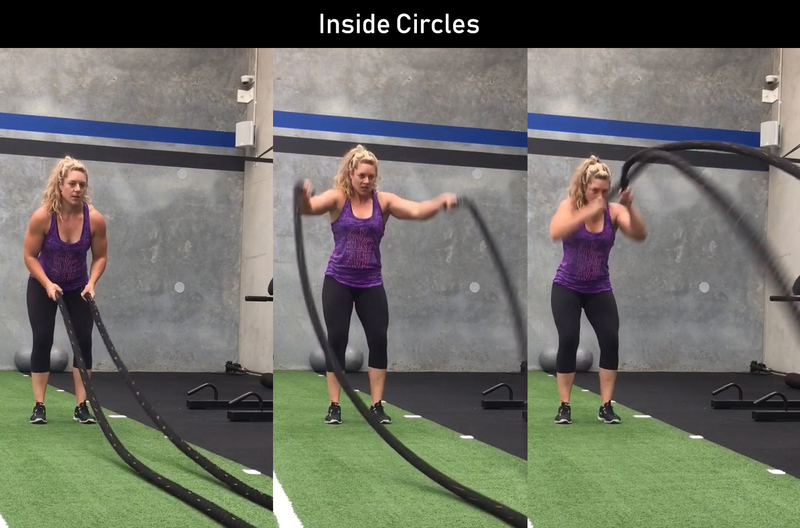 Circuits like these can help you to add exercises that challenge the body in different planes of motion. Aim for 4 rounds with 30 seconds per exercise. Take as much as 1-minute rest between rounds, but aim to reduce this as you get used to the exercises. An alternative - try these seated with your legs in front of you. Perform like the rope slams, but your feet leave the floor as you rise. An alternative - do a big wave and a little wave before jumping into the next one. Set yourself a 4-minute finisher at the end of your workout like the one below to make the most of your workout time. You could buy battle ropes that you can take anywhere, even outdoors. Their diameter, length and weight make them much more portable to go where you go than the type you’ll find in your gym. For beginners, try a 35mm diameter rope, around 10m in length.